Click on Assessments, then click on Add Assessment. 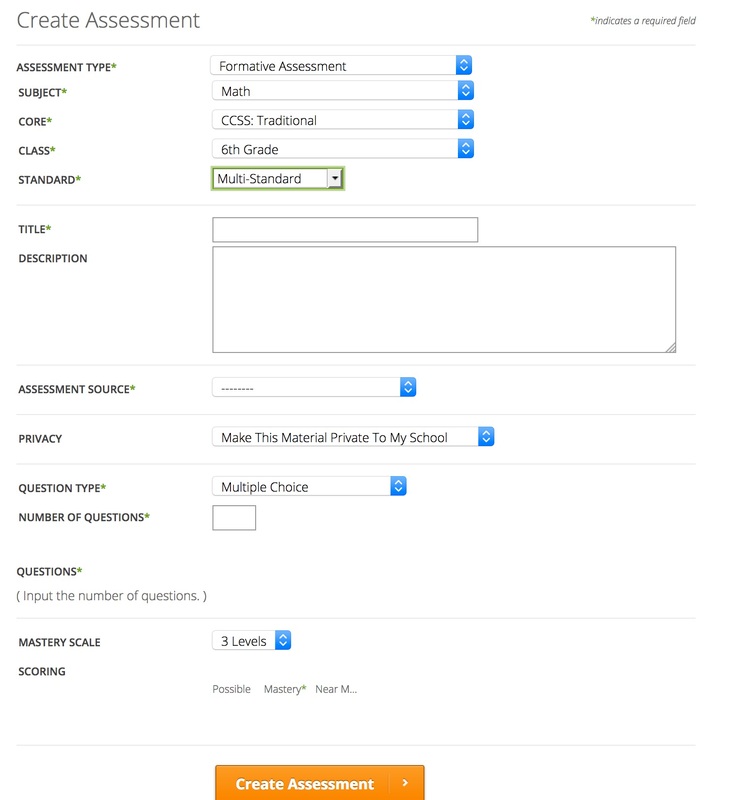 Select the information for your assessment from the drop-down menus, and select your Assessment Source. If you want to align an assessment to multiple standards, select Multi-Standard from the Standard drop-down menu. Note: If you are uploading a file, you can upload Microsoft Office, OpenOffice, and PDF file types from your computer, Google Drive or Dropbox. Select the Assessment source by choosing to upload a file, select items from an item bank or have no file. Select the privacy settings. You can make the assessment private to yourself, your school or your district. If you decide to share the assessment with the community, you will see a checkbox option to confirm that the document you are using is not copyrighted. Select the Question Type. This can include a Mixed Answer type. Enter the number of questions for your assessment. Free users can create up to 10 questions, premium users can create up to 100. If you are creating a multi-standard assessment, select the standard to which you want to align each individual question. Next, select the question type, answer, and points associated with each question. You can also apply tags to questions if your school or district uses them. 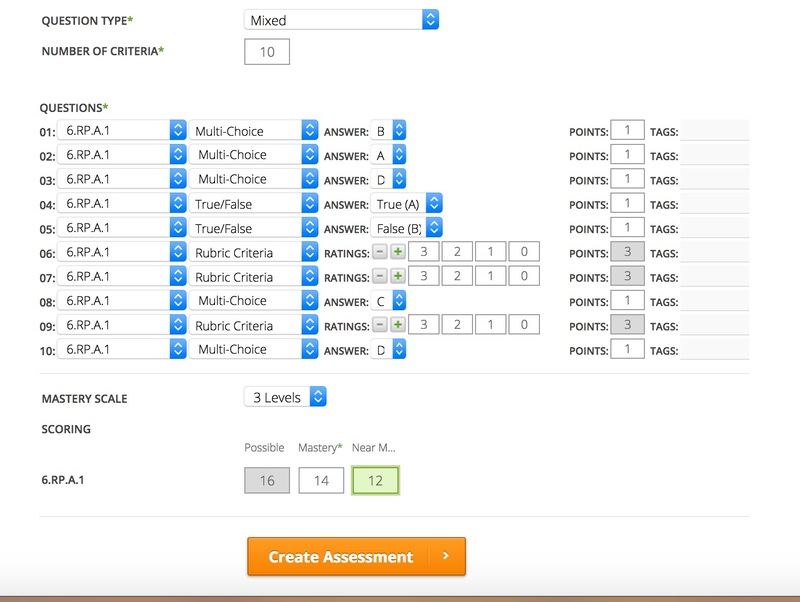 Enter your cut scores for Mastery Scoring, then click on the Create Assessment button.